Part of finding and sharing is also sharing resources that I come across—like research and maps. The way I share downloadable information is by using a great online service called Slideshare. Think uploading PowerPoints and Word documents and PDF documents to an online sharing service—that’s Slideshare. It lets me embed the items I share right in my posts. Easy peasy. The cool thing about Slideshare is that readers often find my blog site because they found interesting material on Slideshare first—and the material on Slideshare is linked back to my blog site. 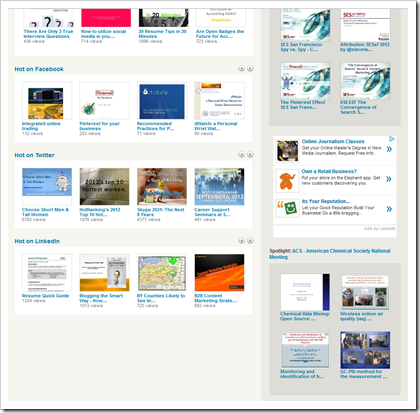 So I use Slideshare to help drive traffic, and prospective subscribers, to my website. 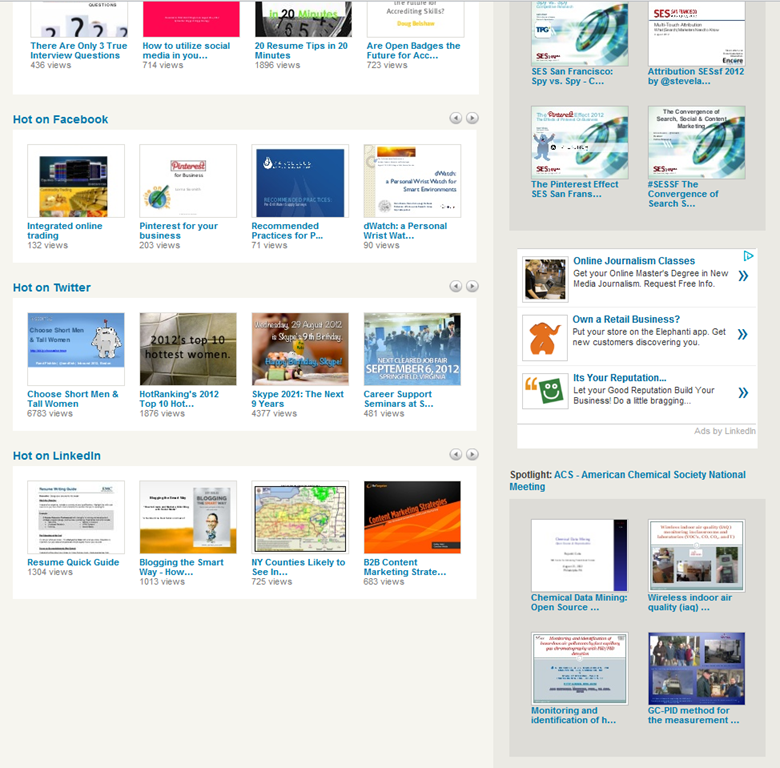 Slideshare is always evolving and looking for ways to make good material loaded into their service noticed. Currently they have several sections on their home page to highlight content that’s popular and being “talked about” in various places. Those places include the big three: Facebook, Twitter and LinkedIn. The item “Recommended Practices for…” under Hot on Facebook is an item I shared earlier today. The item “NY Counties Likely to See…” under Hot on LinkedIn is the other. This second item is a map with an extended explanation of where drilling is likely (and not likely) to happen in New York State once draft drilling rules are released—something created by my partner in crime, Ed Camp of ShaleNavigator, and myself. Aside from tooting my own horn (another old saying), the purpose of this post is to aim bloggers at Slideshare. Set up and account and use it. Done right, it will bring new traffic to your site. getting an idea of, I computer software enjoy when a sales meeting tomorrow. borrower has a higher monthly income, that range can go higher. this article is really a nice bit of writing, keep it up.